Are you looking for some interesting and useful games for your kids? Read this article about the Top 5 free 2015 Android games for kids and know the best kid games available for your Android smartphone in the Google Play free of cost. Every parent wants their kids to go through the best possible brain tickers for making their mind more sharp and accurate. Nowadays, almost every person has a smartphone which can help build interest kids towards learning and grasping things more quickly than books. One can equip his/her smartphone with the best educational apps available for their smartphones in the Android Play Store for free. All they need is to just download and install these interesting games in their smartphones and believe me, kids will learn things faster than you do. So, now the thing is that which Android game is best for your kid. For that, I am here with this article to help you know about the top 5 free Android games available in the Play Store for kids. So, let us start! This game comes under the category of memory games. Classic Simon game is one of the best games for your kids to keep them busy and silent as it draws full attention of the player towards it. This game is available for free in the Play Store and you can download and install it in a go. But this game is devoid of great graphics. It is just a normally designed game but is best to occupy the attention f your kid and hence works great for keeping your kids busy and silent. This game also helps your kid to develop skills of memorizing things with even the smallest of the small differences. So, if they pass with spotting the differences as asked by the game, they are really sharp and if they fail to do so, they will develop a curiosity to be correct always and hence this will increase their capability of recognizing things more quickly. As the name of this game suggests, it is a story book collection given the theme of a game. This app contains some of the popular stories around the globe in which your kids will show interest definitely. This game recites the stories fully with animated sound effects, giving your kid a kick to gain interest in story reading and hence build up their language skills, pronunciation, presentation as well as expression of the speeches. After reciting a story fully, the game now begins and your kid is asked with some questions related to the story by the app to test their grasping power. iStoryBooks game is hence one of the best learning tool for you to get free of cost on your Android smartphone. This game is designed with great quality of graphics so as to make the interface more attractive and user friendly. 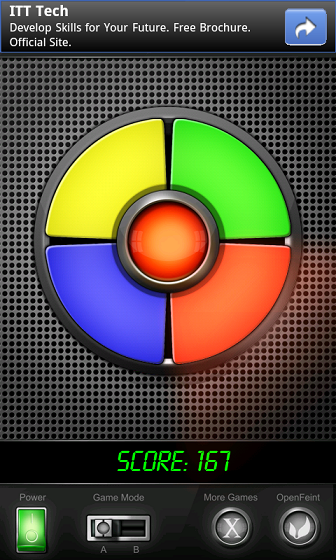 This is actually a very useful game app provided by Famigo association. Just download this game app and install it. You will get almost every kid game in this app and hence your kid needs not to exit a particular game and go for the next as they often do because kids generally do not hold on just one thing, they want variety in every field. So, go for the Famigo Sandbox Android game app and give your kids the games of their interests. This game comes also with the feature of security logging. Just create that security lock in the settings menu of this app and give the phone to your kids. 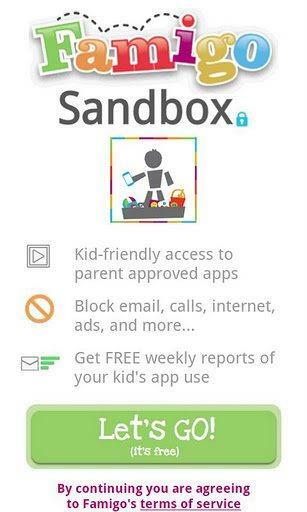 They won't be able to view other content of the phone other than the Famigo Sandbox Android game app, hence, giving you full parental control. This is a starter game for your kid, when your kid just sprouts out the first words out of his/her tongue. 0-10 Numbers Baby Flash Cards game is a very basic game showing your kid some of the flashing cards containing the number written in bold and colored letters and assisted with the voice commands helping your kid to get familiar with those numbers in a very less span of time. For example, when your kid taps on the card containing the letter '1', a voice command will narrate the name of this letter along with the proper spellings i.e. 'ONE'. This really helps your kid to memorize the basic 10 numbers in a go. Getting this game on your smartphone will help your kid to learn and grasp numbers more quickly than on the books and in schools where they often don't show interests in such practices. This game is best for the kids under the age group of 2 to 4 years as they need basic things on their immature minds and not the things which overburden them. This game is based on the simple physics stuff. It compels your kid to think beyond imagination and checks the problem solving skill of your kid. In this game, your kid needs to think according to the situation presented in different levels of the game and make the little alligator get enough water to make it able to get a good bath. You kid needs to overcome the difficulties in the way of the water up to the alligator and hence making your kid think about the proper way to make water reach the alligator. Where's My Water Free Android game works round the concept of gravitation in the physics, so, this game is best for the kids coming under the age group of 5-10 years which can fully understand the game and play it efficiently with a huge interest. Where's My Water is available in Play Store for free with really great graphics and interesting animations including effective sounds and music. This was all about the top five free Android game for your kids which you can get on your Android devices having the Android OS of the version 2.3 and above. Every game is good at its place. It now depends on you which one suits your kid the best according to their age groups and ability. Always remember one thing though, choosing a proper game for you kid is very necessary which many of us don't consider so. Giving your kids such game which just wastes their time is not a good decision made by a good parent rather one should provide their kids with such games which would help them to develop their skills of reading, writing, expressing, grasping and solving the problems according to their caliber. This decision makes your kid to play games as well as learn some basic things. This was a suggestion from me and now you can choose the best game according to your jurisdiction and I hope that you will surely choose the best material for your kid. Informative article for the parents especially. With the current mobile phones boom, kids take to mobiles more than to their books. So one should be careful enough to choose a game that would inculcate positive thinking and a desire for learning new things. The games you described tend to be in that direction. Good effort indeed given the vast list of games in this category.